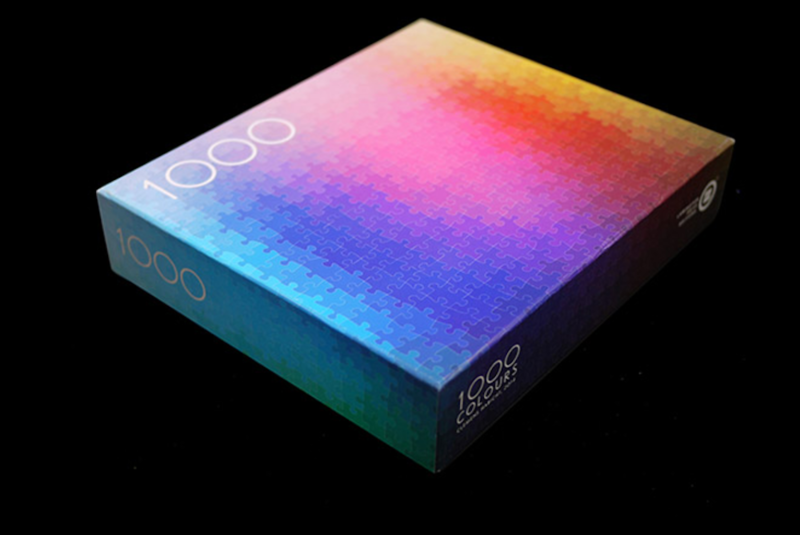 Artist Clemens Habicht has created a 1,000-piece jigsaw puzzle that forms a massive color gradient, in which each tile is a distinct color. 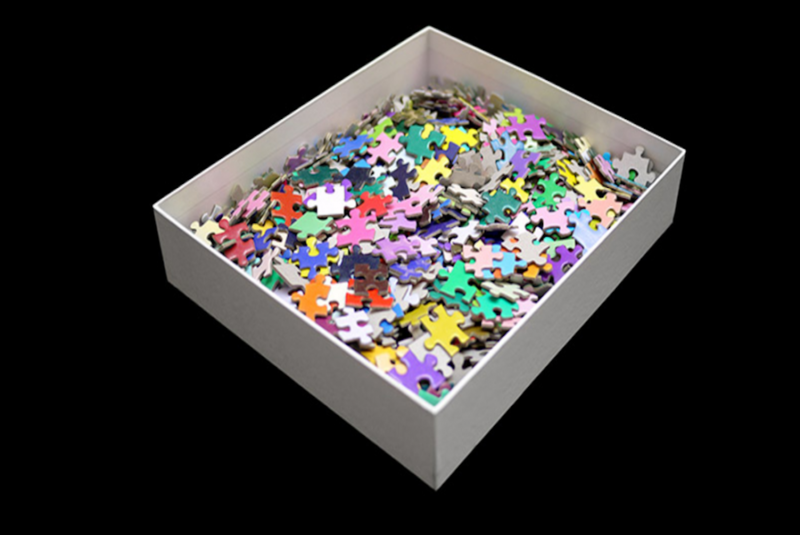 To solve the puzzle, one must determine the position of each piece in relation to other tiles that are similar in hue. 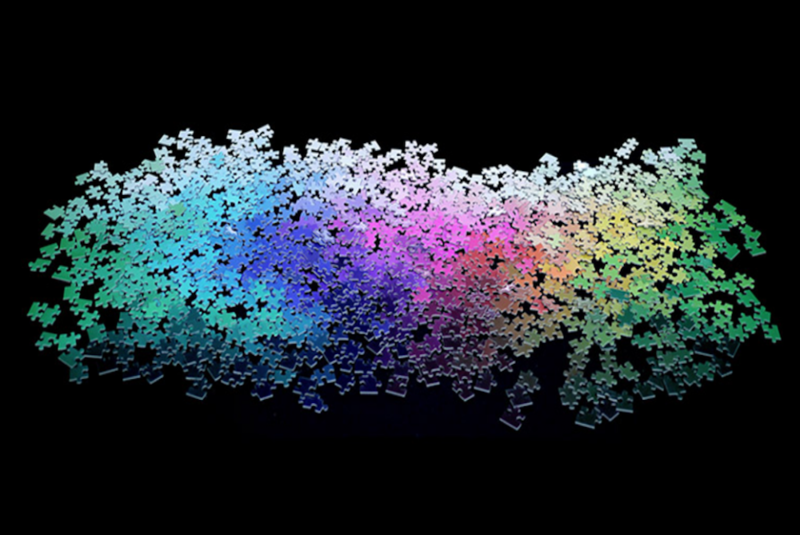 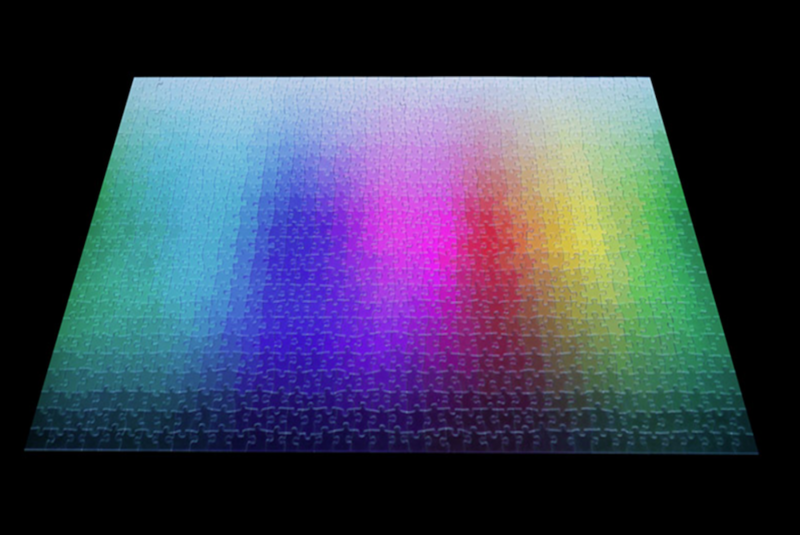 When completed, the puzzle displays a rainbow of shades—each color gradually dissolving into the next.